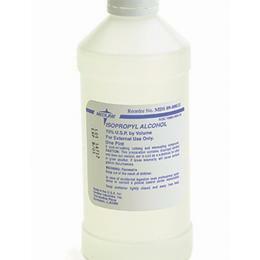 Isopropyl Rubbing Alcohol: Cleans Minor Cuts, Scrapes And Burns While It Reduces The Risk Of Infection. Can Be Used In Small Amounts On Affected Areas One To Three Times Daily. Once Alcohol Dries, Wounds May Be Covered With Sterile Bandages. 70% U.S.P. Isopropyl Alcohol By Volume. 1 Pint.